FRANKFURT -- BMW said it is heading for its best sales year despite a flat European market after the company's October global volume increased by 13.2 percent to 157,618 vehicles. "We are well on course to achieve a new sales record in 2012 despite the headwind present in some European markets," BMW sales and marketing board member Ian Robertson said on Friday. Deliveries of BMW-branded cars rose 15.4 percent to 132,823 last month compared with October 2011, putting the brand ahead of rivals Audi, whose sales rose nearly 14 percent to 123,600 and Mercedes brand, whose sales were up 6 percent to 109,632. Monthly sales of the group's Mini brand rose 2.7 percent to 24,483. In China, BMW group sales increased by 51.7 percent to 27,828, boosted by demand for the locally built X1 small crossover and the long wheelbase version of the 3 series sedan. In the United States, BMW Group's largest-single market, deliveries rose 18.5 percent to 32,339. In Europe volume increased by less than half a percent to 71,368. 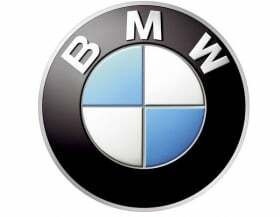 BMW is on course to remain the top-selling premium brand for 2012.The brand's 10-month sales are up 9.3 percent to 1.24 million. Audi's sales for the same period rose 12.9 percent to 1.22 million while Mercedes brand's volume increased 5.1 percent to 1.07 million. BMW Group sales for the first 10 months, including the Mini and Rolls-Royce brands, grew 8.8 percent to 1.49 million. Mini sales increased 6.7 percent to 247,698.